This article on Problem Gambling by Paul Segar and brought to you by Pureform discusses this situation that most gamblers encounter at some time during their gambling career and one that is often ignored or discounted. Some of the various triggers for gambling problems are addressed along with alternatives to assuage this trying situation. Gambling for most people is a pastime that can at times get out of control but is usually managed within a reasonable framework – the gambling happens during spare time and doesn’t interfere with normal life or family commitments. This we can call the ‘normal’ approach if there is a normal approach. Sometimes gambling can get out of control and this is when it may become a problem. Most gamblers at one time or another find themselves in this situation and is it all about learning to monitor and know what to do when this happens. Most people know when they have a gambling problem. Losing too much money, spending too much time gambling or thinking about gambling are three main contributors with money losses often seen as the most important factor. But problem gambling is not just about money. Money is one aspect but when gambling negatively affects a person’s whole life then it is a real problem. Gambling can affect work or other activities, harm a person’s mental or physical health, cause problems financially, perhaps damage your reputation or cause difficulties with family or friends. These and other factors could indicate that gambling is becoming or is already a major problem. What constitutes problem gambling? The occasional large bet, the loss of large amounts of money, skipping work to attend a sporting event or missing a credit card payment is not necessarily related to problem gambling. Similarly gambling too much in one week or something similar is not a major issue. Problems occur when this behaviour is more the norm – an on-going problem, not a once or twice off. Non gambler: Some people never gamble and most people would be better off (financially at least) if they were in this group. Playing a game like bingo or the occasional lotto ticket is perhaps the only form of gambling for this group. Casual social gambler: Another general group gamble casually, perhaps occasionally going to the casino, betting on some form of racing or playing the pokies. Typically this gambling pastime is done infrequently. Serious social gambler: Regular gamblers in this group with gambling being one of the major forms of entertainment but at the same time it does not interfere with general daily life. Compulsive gambler: These people are experiencing difficulties in their personal, work and social relationships perhaps as a result of the gambling or may use gambling as a relief or escape from other problems. The compulsive gambler’s main focus in life is gambling and will be a major topic of their general life. Pathological gambler: Gambling for this group can and does lead to seriously problems in some or all aspects of their lives. The pathological gambler is often totally out of control and will gamble at any option usually until all their money is gone, and then some. Gamblers generally display minimal changes to their physical makeup unlike for other forms of addiction (e.g. alcohol or drugs). But some factors that can indicate a problem include changes in normal behaviour, emotional issues and of course, financial issues. All or any of these can in the long run affect general health. For some people a significant or lucky win followed by a series of losses can be a major trigger for problem gambling. Taking a loss after such a win is simply unacceptable as the 'buzz' from the win was impressive and so some longer term attempt is made to regain the winnings. One main problem is that often a substantial winning result is a 'one off', with no real strategy used, perhaps a fluke. The money goes easily followed by more. A mediocre grasp of the game being played or a poor understanding of the real chances of winning is another potential key to major losses. Betting on something is a lot easier if you think the chances of winning are better than they actual are. Easy access to the preferred form of gambling, e.g. online gambling, is another way to have a normal gambling session or pastime deteriorate into some form of addiction and can follow on the same way as the lucky winner or the unqualified player just described. Some sort of traumatic event can trigger gambling or gambling more heavily than normal with the gambling offering some form of relief from that trauma. In this case, the gambling is working as a 'mask' to the real problem. A boring or sad existence can lead to a craving for some form of excitement which gambling does afford but can often tie in with the earlier lack of understanding of the real chances of winning - gambling addiction can follow. Some form of mental health problem whether long or short term can lead to a gambling addiction as can low self-esteem, poor job prospects or isolation. Gambling by its very nature can result in greater isolation with losing money often leading to lower self-esteem thus exacerbating the problem. Some other form of payout - retirement, redundancy or similar can provide that ready cash perhaps never previously available. Easy or 'cheap' money like this can quickly be dispatched when gambling with the ever downward spiral of loss-chasing leading to even greater problems. Any or all of these can lead to some form of gambling addiction. Of course you can have any or all of these symptoms and not develop a gambling problem. Focussing on horse racing, one major problem is the daily churn factor causing real problems for the racing enthusiast. There are so many races run each week with every race offering an opportunity for profit, and loss. For some other forms of gambling, there is no end - the gambling continues day and night, 24/7. There was a very useful text available many years ago on horse racing called 'Walk Away a Winner'. The book amongst other things analysed TAB figures before each horse race. Back in the 'old' days, there were far fewer meetings and monitoring prices in a manual way was quite possible. Today, the endless list of races makes this form of analysis almost impossible without a team of workers. Enough on that book but the title is of interest for this topic. For most gamblers, in fact any of those listed above and most normal people, the main problem is most do not want to lose - they effectively cannot walk away a loser. So on any given day, if showing a loss, most people will continue betting and often with disastrous consequences. Again, most gamblers have been in this situation and so it is not an unusual occurence. Problem is, it often results in heavy losses which could have easily been avoided. So let's say you start with $200. Nearing the end of the day, there are 3 difficult horse races remaining and with no real winning prospects you're losing a paltry $5. Only $5! But no, you decide to bet on and instead of losing only a fiver for the day you then despatch the remaining $195, borrow another $400 from your friend and send that to the churn (your friend may be the ATM). Net result, rather than a $5 loss, you instead haemorrhaged $600! Not only that, you lost the most money on races you didn't even like (and normally might have avoided). And to top it all off, you were coming from a position of almost no loss. Sound familiar? Just about everyone can say the usual clich�, 'been there, done that'. And everyone has had that lucky last race win and gone home a winner - the more usual outcome is disaster. The worst part of this gambling blunder is that it might require perhaps a week or even a month of serious success to recover that amount of money. Net result? The money is gone and is not going to be recovered without some serious hard work. Chances are you return the next time chasing the losses and send more funds to the churn. These are some scenarios for the beginning or continuation of problem gambling. If you read any of this and find you fit into one of the categories then it is time to consider doing something about it. Having written this, it is perfectly ok for you to continue gambling if this is what you prefer to do (much the same as a smoker continues to enjoy smoking even though all the evidence points to many negatives). It is your life and there is no reason why you cannot do the pastime you enjoy - that is unless it interferes with other people, the innocent people who have nothing to do with gambling but as a result are affected. If your gambling does not affect anyone other than yourself and you are happy to continue gambling then it is perfectly ok for you to do so. If you have decided to no longer bet but are finding it hard to stop then it is time to contact one of the gambler's help organisations listed at the end of this article. If you plan to continue gambling but want to improve your overall position then it is time to sit down and review your overall position, losing less may be a positive outcome. Ultimately if your gambling negatively affects one or more other person then it is time to consider doing something about it. While on the subject of losses, what is a fair contribution to make to support Australia's micro economy? Or in simple terms, how much is a reasonable amount to lose? Some religious people donate a tithe to their respective religion and so this appears to be a reasonable amount - the old 10%. Calculate your annual income and divide by 10 and this will give you some idea of a reasonable figure. So if you earn $30,000 pa, then $3,000 or around $60 a week is a fair figure. On $100,000 per year, the figure of $10,000 or around $200 per week. More, less. It is up to you. It all depends on how much this hobby or pastime is worth to you and how much you can give. For the average gambler, losing significantly larger amounts is of no purpose whatsoever and if this is the case you need to sit down and have a long think. So how can you tell if you have a gambling problem? Did you ever borrow money for gambling? Do you feel less effective after gambling? Has gambling ever altered your home life? After winning, do you feel empowered or alternatively after losing do you feel totally depressed? Are you ever remorseful after gambling? Did you ever gamble to solve financial debts? After losing, did you feel some desperation to quickly return to regain your losses? Have you considered undertaking an illegal act to finance gambling? Does gambling affect your sleeping habits? Have you gambled until all your money was gone? Do you use "gambling money" for normal expenditures? Has gambling made you careless about you or your family's welfare? Do you often gamble longer than planned? Have you ever gambled as a way of avoiding worry or trouble? Does gambling fill your thoughts for more than a reasonable time? Your answers to these and other questions are then counted with a score above a certain value indicating a gambling problem. Clearly for many gamblers a 'yes' answer is possible for many of these questions at various times and some of these questions may always return an affirmative answer. A score of 10 or more on this simple set of questions may indicate a major problem but a lower score doesn't eliminate a potential problem. Most people dream of retiring young on the returns from high rolling gambling - sadly very few people achieve this dream. There is nothing stopping this from happening but you need a plan, a plan which may not be achievable in the short or long term. Therefore try to think of gambling as an expense, like buying a loaf of bread - no one expects to get rich from a loaf of bread and when it is all gone, you simply buy another loaf. But no one buys 10 loaves of bread when only one is needed. Try to look at gambling in this way. Again this returns to the tithe or thereabouts of your weekly income as a fair amount to gamble. 3. Set a limit in advance. Decide before starting any gambling session the amount of money to be invested - win, lose or draw and stick to that as the maximum amount. This is an absolute 'must' to manage problem gambling. Setting a limit has a dual affect. Not only do you bet more clearly (as funds are limited) but the losses are capped to that maximum amount. You know there is a real problem when you set a limit and then exceed that limit, even by $1. Control is a major factor in successful gambling and setting a limit and exceeding that limit clearly shows no control whatsoever. 4. Set a time limit in advance. Following on from point 3, set a time limit on the gambling. For horse racing, a meeting normally starts around midday and finishes around 5 pm local time. The gambling in this case finishes at 5.05. Gambling needs to be viewed in some ways as a job and when the job is finished it is time to 'knock off' for the day. At the other end of the scale, gambling for example during a 1 hour lunchtime or getting a random 'leave pass' for an hour to gamble is also not a good idea. 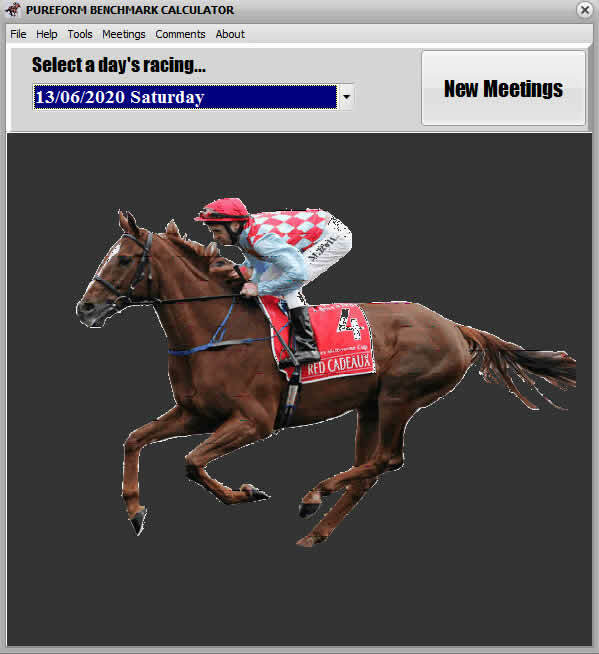 Focussing on horse racing, it is very unlikely the best races will be run during that lunch or random hour. Select the best time to gamble and then gamble for a set time, not between 12pm and 1pm simply because that time is free. The best way to gamble is to start well and this often means waiting for a solid wager (this applies mostly to racing events). Chances are the more events you watch, the better will be the overall result. At the other end of the scale, watching a number of successful races go by makes the average punter 'itchy' to have a bet. There has to be a balance which again is not easy to achieve. There is no point watching the first half of a race meeting if then larger amounts are bet and lost on the later races. Generally the Rule of Eight is a good one to follow. Divide whatever you have in your pocket, purse or wallet by 8 and bet that amount as a maximum on any event. On a losing day, the first bet will probably be the biggest so make sure it is a strong chance. 6. Don't gamble when less than 100% ready. Gambling is a tough sport and not one to tackle when physically or emotionally drained. Take the day off if 'under the weather.' As mentioned earlier, gambling isn't everything so spend some time on another hobby or find a new one. 7. Gambling is not the only activity. Gambling is not the only form of entertainment available on a day to day basis and if you are losing from gambling then there is money to spend on some other pastime rather than on gambling. Make sure gambling isn't your only activity and if it is, find some additional pastimes to pursue especially on days which lead to consistent or large losses. 8. Leave the credit card at home. This follows on from point number 3. Set a limit on the maximum loss for the day and ensure that maximum by either leaving the credit card (or other money source) at home or putting it somewhere out of reach for the day. Find a method that works for you to stop that inevitable return to the ATM for more funds (and often further losses). It is very important, the same with any job to take periodic breaks to improve your mental flexibility. Very few people can function successfully over many hours of serious gambling, especially when losing. 10. Avoid excesses while gambling. Keep your food and fluid intake at the high level when gambling but do not overdo excessively on other forms of refreshment. If gambling has become a major problem then contact one of the gambling assistance organisations around the country. Do not wait to make the call if there is a problem and return to gambling again when/if the problem is resolved.